Online courses are great for working students and remote students, and they allow schools to reach more students than ever before. As these courses have become increasingly popular, we’ve learned what teaching strategies do and don’t work. Below are some best practices to ensure a successful course for all. Show Up and Teach – The number one best practice for online teachers according to Designing for Learning and the Distance Education Report is to be available to your students. This means being present in the communication forums used to interact with your students on a regular basis to address questions, facilitate discussions, etc. Also, set up virtual office hours so that students can contact you by phone or email outside of class times. Create a Clear Set of Expectations – Let your students know how you expect them to participate in the virtual classroom, and how you plan to communicate with them. Provide Feedback Consistently – Cincinnati State notes that online courses can make students feel a little isolated, but that consistent feedback is a great way to avoid that feeling. For example, you can praise a student for making an insightful comment in a forum, just like you would in the classroom. Use a Variety of Activities – Several resources also suggest varying the types of classroom activities you use to keep students from becoming bored. Real-time discussions, individual assignments, and group projects are just a few examples of ways to keep the course fresh and interesting. Use a Combination of Teaching Methods – Designing for Learning suggests combining core concept learning with customized or personalized learning by identifying the performance goals of the course and then mentoring students through the assignments that apply those concepts. Ensure Students Have the Prerequisite Skills – Students sometimes enroll for online courses without a basic understanding of file management, communicating online, and the basic computer skills required to be successful. 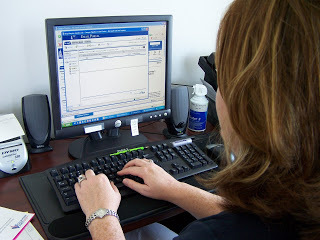 Establish a set of criteria, or pre-test students using an online computer inventory test to determine their readiness for an online course. 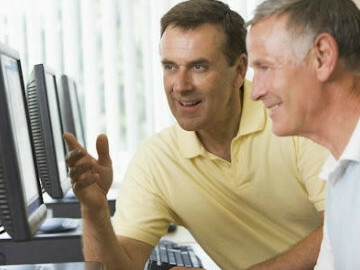 Are you currently teaching online courses? If so, what best practices do you follow to ensure that you are teaching the course effectively? Leave a comment to share your thoughts with Labyrinth Learning. Why Use iPads and eBooks in Computer Courses? Over the past few years, iPads and other e-readers have transformed the way we do a lot of things, from reading to answering emails while on the go. You might be wondering how iPads and ebooks can be incorporated into your computer classes and what benefits they offer. If so, read on and we’ll explain some of those benefits to you. eBooks often include interactive bonuses like videos or animation, which can enhance the information covered in the text or serve as an example of the task students are learning. They also usually include links to other relevant website that can expand upon the topic, according to Success Consciousness. Innolance suggests implementing the latest technologies into your course as a way to keep and increase your students’ interest in the subject matter. 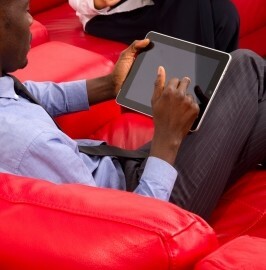 Remember, devices like iPads are becoming a way of life. iPads are easy to use due to their touch interfaces. Additionally, the availability of downloadable educational apps can aid in a student’s retention of the course material, as noted by The Guardian. iPads and other tablets are compatible with most cloud-based computing systems, making it possible for them to complete assignments from almost anywhere, The Science of Learning Blog notes. Are you and your students currently using iPads and ebooks in your computer classes? If so, please share with us what benefits you’ve seen as a result. Labyrinth Learning offers a variety of resources, including ebooks, that instructors can use to effectively teach computer skills and make their classes more dynamic. For more information, please visit our website or contact us. Learning to use a computer can be intimidating, especially for the student whose skills aren’t as advanced as their friends or classmates. As computers are becoming a part of our daily lives, it is important to make sure that you teach the basics in a way that is easy for all of your students to understand. Below are six tips to keep in mind as you teach your next course. State the goals of the class before you begin instructing so students will know exactly what is going to be covered. Keep a slow, steady pace. The American Library Association (ALA) suggests to “Assume that you are always going too fast. Take your cues not from the agenda you’ve set for the lesson, but instead the look in the eyes of your student.” If your students’ brows are furrowed and eyes are glazed over, take a moment to see what is confusing them or where you lost them, and work on catching up from there. Use hands-on instruction. Tell the class what they will be doing (opening a web browser, composing an email, etc. ), and then do it together. Have students practice through repetition. The ALA suggests doing everything at least three times, as repetition helps students retain what they have learned. Assign homework. Give your students short assignments daily so that they can practice what they have learned. Computer Shy also suggest providing students with notes at the end of each class so that they can review what has been covered on their own. Labyrinth Learning has several teaching resources available that instructors can use to effectively teach computer skills to students of all ages and abilities. Please visit our website or contact us for more information. Do you offer certification testing? Your students can gain an extra edge when seeking employment by taking advantage of certification programs. Certification helps broaden employment opportunities. Advanced skills can help students earn more. A study conducted by Microsoft revealed that those who are certified are viewed as more competent, more productive, and more credible by their employers. Certification can lead to increased job satisfaction. Those who pass certification exams are authorized to display certification logos on resumes and other materials to demonstrate proof of certification, according to the National Association of Certified Public Bookkeepers. Several Labyrinth Learning textbooks are approved courseware for the Microsoft and QuickBooks exams. For more information, please visit our website and look at our Excel and QuickBooks texts. Start Screen. The most dramatic change is to the Start Screen, which has been redesigned to look more like a tablet or phone screen than your traditional Windows start screen interface. On the desktop, the Start button only appears when you hover your cursor in the bottom left corner of your screen, where you can return to the Start Screen or launch other desktop apps. Charms. Charms appear when you move your mouse to the right-hand side of the screen or swipe from the right on a touchscreen device. They include buttons for accessing the Start Screen, Search, Share, Devices, and Settings functions quickly and with ease. Touch Support. You’ll see better touch support than with Windows 7. 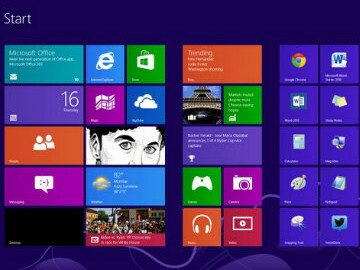 Windows has also incorporated an intelligence system to tell it what you are attempting to do, according to TechRadar. Multiple Monitor Support. Windows 8 is better capable of supporting multiple monitors than previous versions. If desired, you can place the Start Screen on one monitor and the desktop on another. The Windows Store. Windows 8 has its own app store. Mashable notes that apps can be downloaded from the store and are then accessible on your home screen. Cloud Integration. Windows 8 also includes cloud integration, just like Office 2013. You can sync your address book, photos, SkyDrive data, and even data within 3rd party apps. You can access the data on any Windows 8 device. 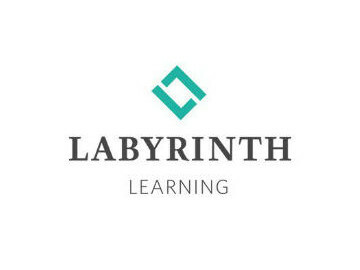 Labyrinth Learning will be hosting a webinar in the coming months to demo the changes and discuss implications for the classroom. Once we’ve set the date, we’ll let you know. In the meantime, feel free to contact us with any questions.